How do you measure the impact of Customer Success on your business? What about measuring the effectiveness of your customer success team? There has never been greater awareness of Customer Success, as an integral part of growing a successful SaaS business. It’s often referenced as the one key tool for combatting churn. But to a SaaS business looking to ramp up their Customer Success efforts, you can find a lot of conflicting information from multiple sources across the web. If you enjoy our free SaaS resources, please consider spreading the word and sharing them with others! 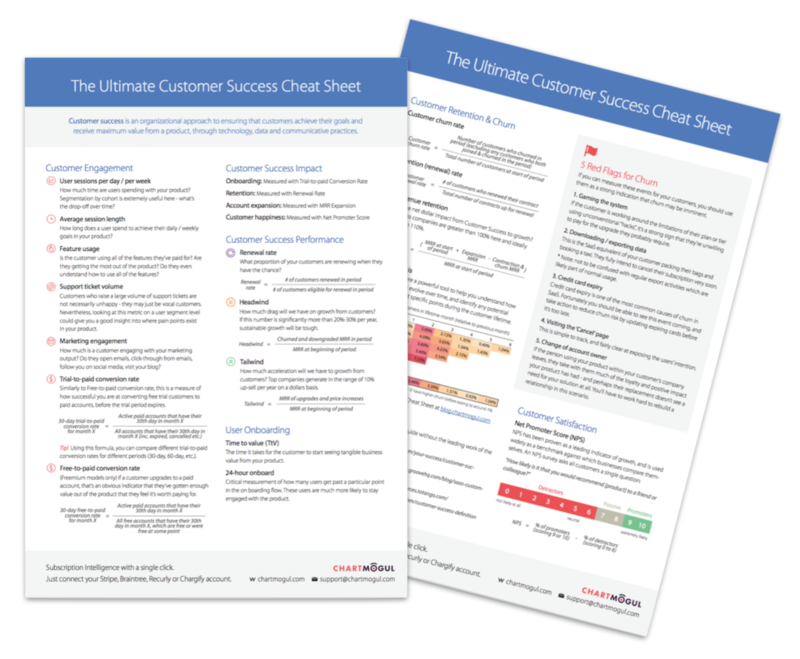 As always, our resources are built on the excellent work of various thought leaders in the SaaS space, so thanks to Gainsight, GrooveHQ, Totango and Lincoln Murphy who have all contributed great material on the topic of Customer Success.